The Fotona QX MAXX makes it possible to add a full range of skin treatments and aesthetic services to your practice, including tattoo removal, removal of freckles and pigmented lesions, and other popular cosmetic services. The powerful cosmetic laser offers an optimized wavelength selection, targeting the widest range of pigments. The system includes four treatment wavelengths in one to remove dark pigments, remove lighter pigments and vascular lesions and to get rid of deeply embedded greens, blues and purple inks. The Fotona QX MAXX laser machine offers the most advanced laser technology available. With a unique single-pulse laser technology, the Fotona QX MAXX has proven itself more effective at complete tattoo removal then many of the multi-pulse lasers on the market. The powerful single-pulse Q-switched technology provides larger spot treatment areas and more effective removal of deeply ingrained color pigments. The QX MAXX supports Fotona’s premier Accelera technology, offering powerful treatment for laser hair removal, acne treatments and other common aesthetic treatments. 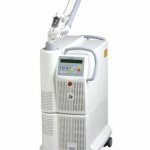 If you are interested in finding out more about the Fotona QX MAXX Laser System to your dermatology practice, medical spa or aesthetician office, UsedCosmetic.com will give you pricing information with zero obligation. 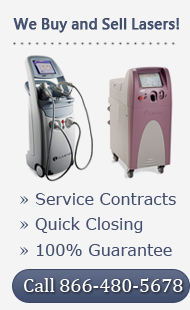 Here at UsedCosmetic.com, we are the industry leader in used cosmetic laser system sales because we offer the lowest prices out there in addition to a 100% customer satisfaction guarantee along with every single used cosmetic laser system we sell. To find out more about the used Fotona QX MAXX Laser System in our inventory, simply fill out our contact form below, and one of our trusted representatives will get back with you quickly with all the answers to your questions about the Hoya Con Bio MedLite C6 laser system.